Rahman’s biography “A.R. Rahman: The Spirit of Music” by renowned film historian Nasreen Kabeer was released. 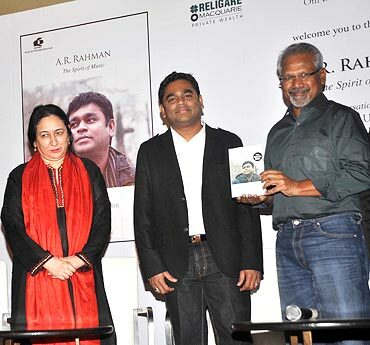 Director Mani Ratnam, the man who introducted Rahman in the 1992 blockbuster Roja officially launched the book, A R Rahman The Spirit of Music, a the Novotel Hotel in Juhu, Mumbai.